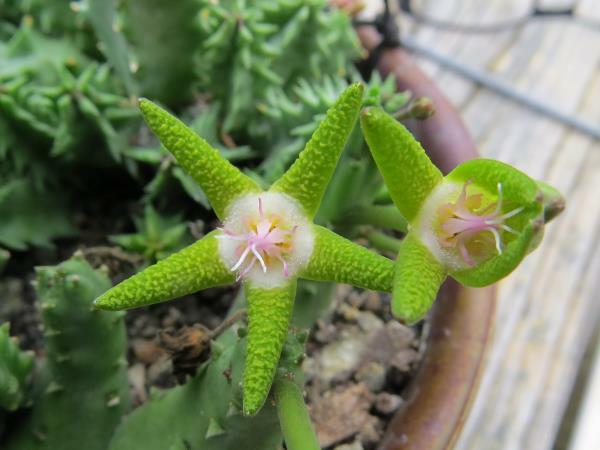 Periodically I will be featuring some plants on this page that I find interesting. I will give you growing information as well as species location data and flowering schedule if applicable. Lastest featured plant will always be on top but you can scroll down to see them all. Location: RSA, N Cape, Namibia, Botswana. Publish by Robert Brown in 1813. 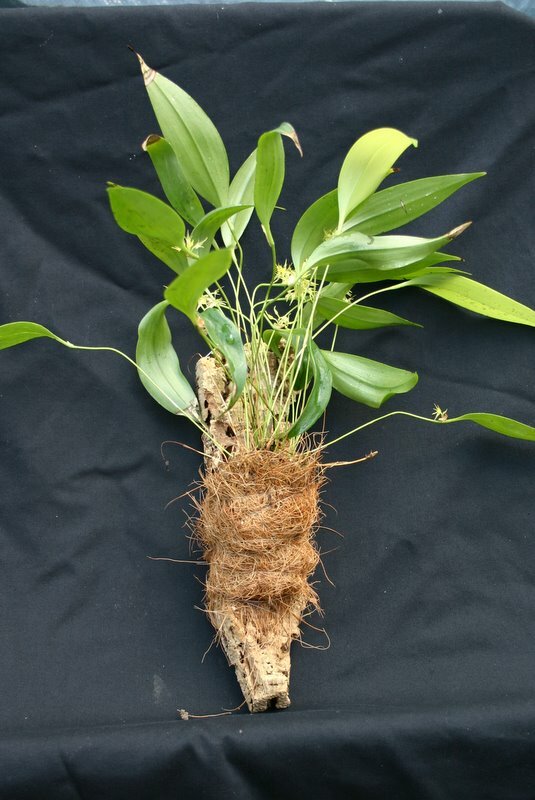 A cool to warm growing medium sized epiphyte and lithophyte A cool to hot growing medium sized epiphyte found throughout Central and South America as well as the Caribbean fro 130 feet (40 meters) to 6550 feet (200 meters). 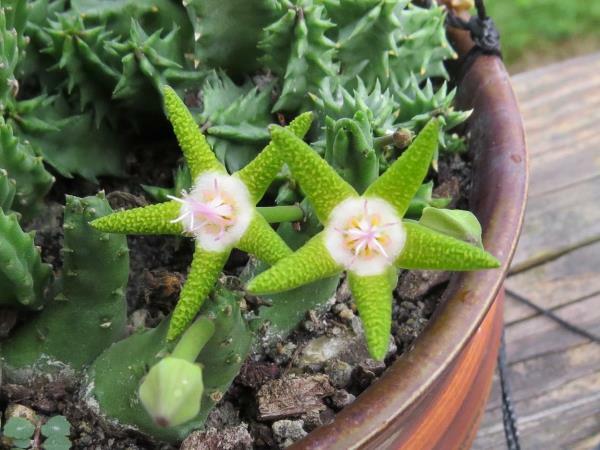 This species has leaves up to 6-8" and flowers are up to 1/4" fully opened. 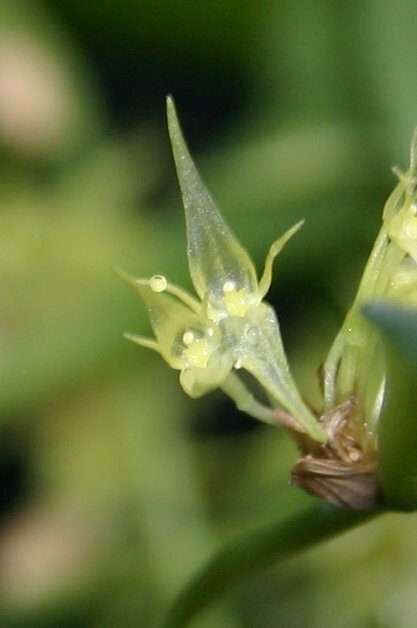 The flowers emerge in clusters of many per leaf from the base of the leaf from a papery sheath in winter. I have this plant mounted on cork and I keep it moist at all times. It gets about 500 foot candles of light and is 70F/55F in winter and 85F/60F in the summer. It could probably be kept a bit cooler in the winter and may need more shade in the summer. 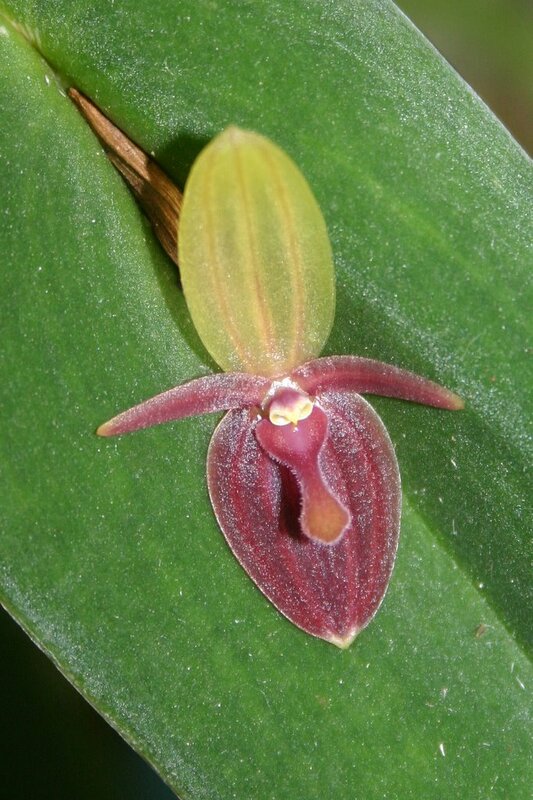 Synonym Pleurothallis radula. Published by Luer in 2005. 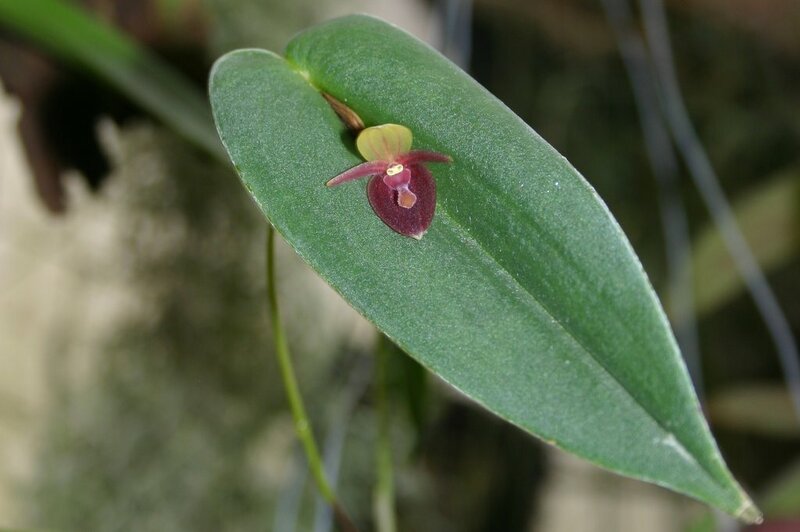 An intermediate growing medium sized epiphyte from Costa Rica at approximately 6230 feet (1900 meters). 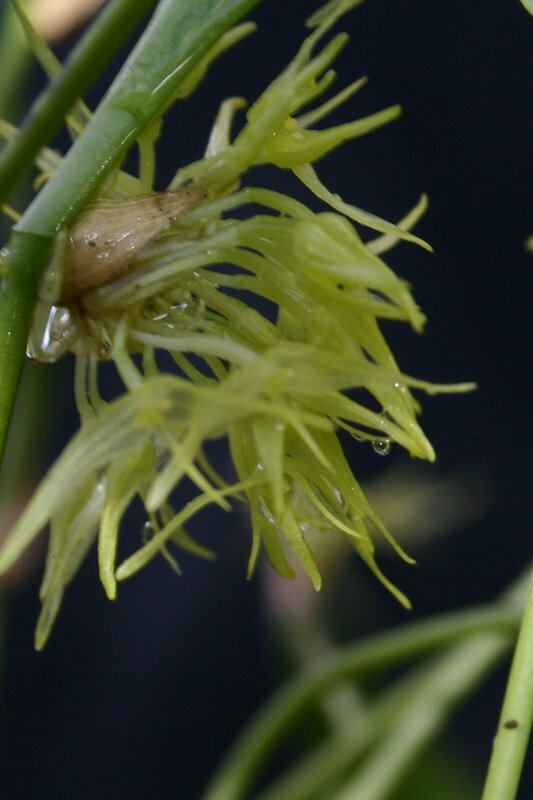 This species has leaves up to 5-6" on petioles of 8" and flowers are up to 3/4" fully opened. 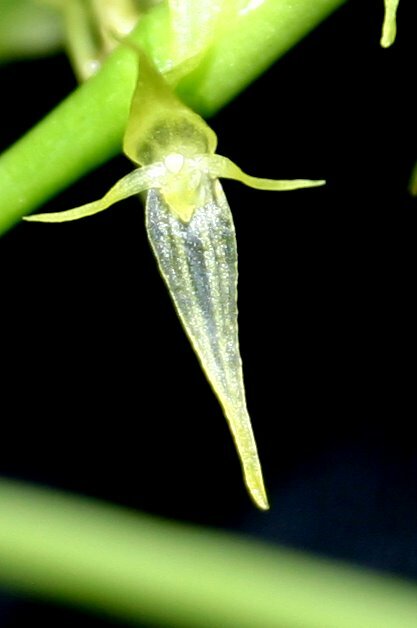 The flowers emerge from the base of the leaf from a papery sheath in winter. 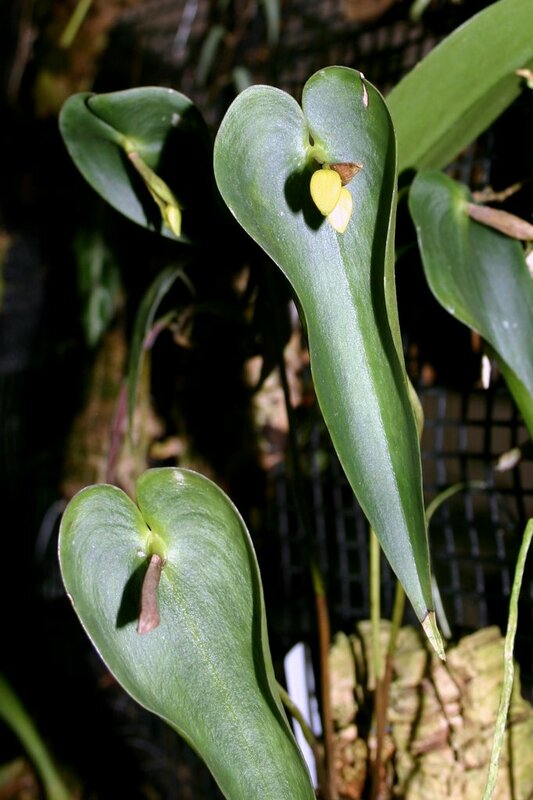 The mature leaves are heart shape and very attractive so it makes a nice specimen when not in flower. Full plant. Note the way the leaves tend to nod. 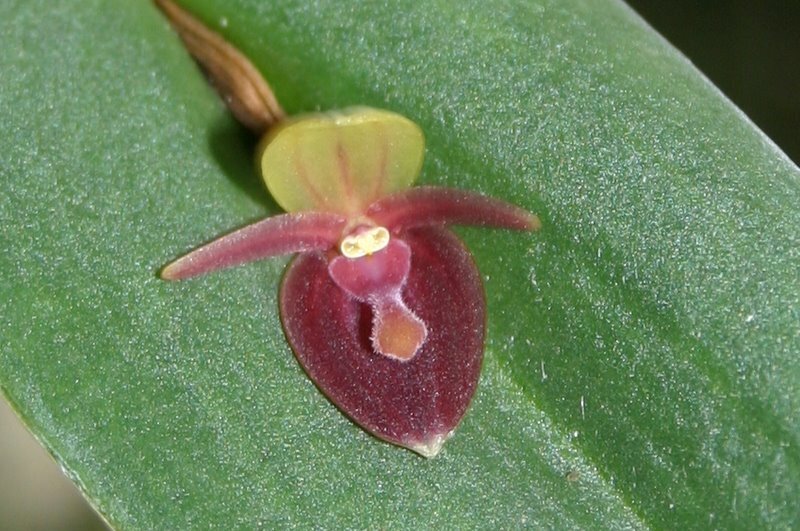 Synonym Pleurothallis ascera. Publish by Luer & R. Escobar in 1996. A cool growing medium sized epiphyte from Costa Rica to Colombia at approximately 4250 feet (1300 meters). 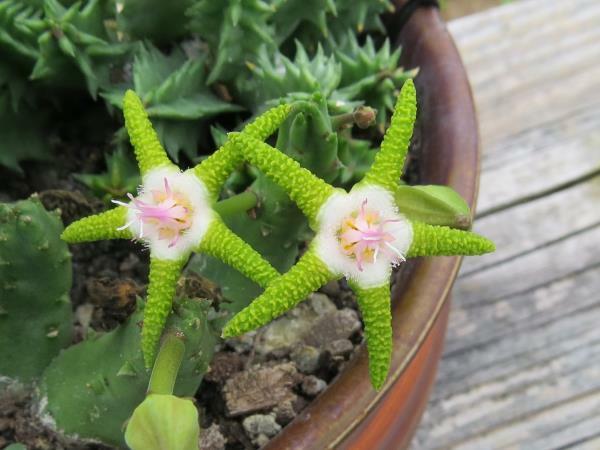 This species has leaves up to 5-6" and flowers are up to 1" fully opened. 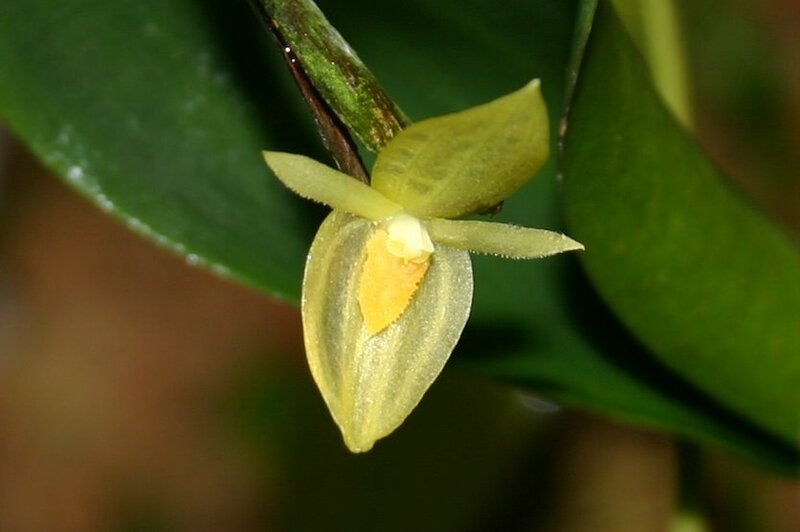 The flowers emerge from the base of the leaf from a papery sheath in winter. 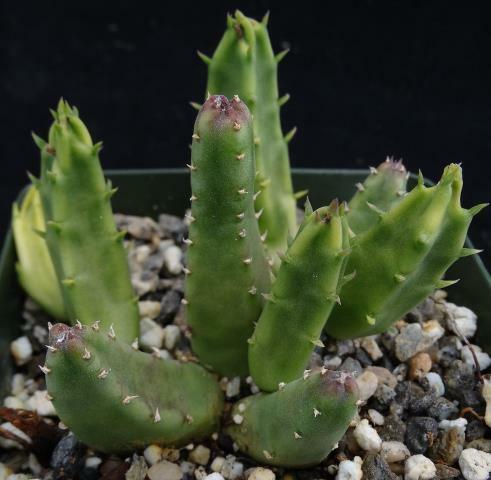 The mature leaves are very attractive so it makes a nice specimen when not in flower.